This was my thesis project for the MA (University of Greenwhich). The concept was to create a showcase for Latin American artists and designers. 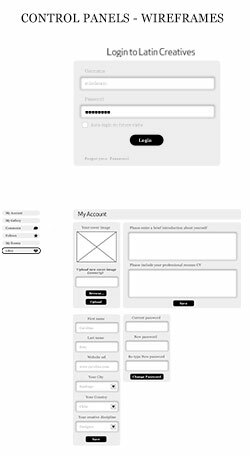 I covered every aspect required to bring a website to life, market research, wireframing, UX, logo design, layout look and feel, photoshop mock ups and front end coding. 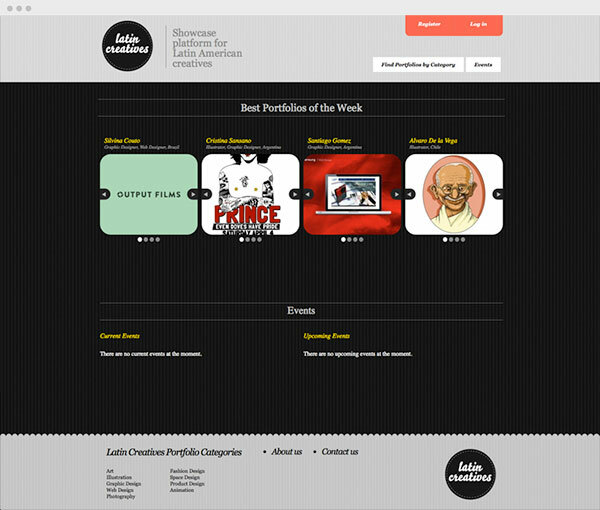 The best portfolios of the week were shown on the home page together with current and future event listings. 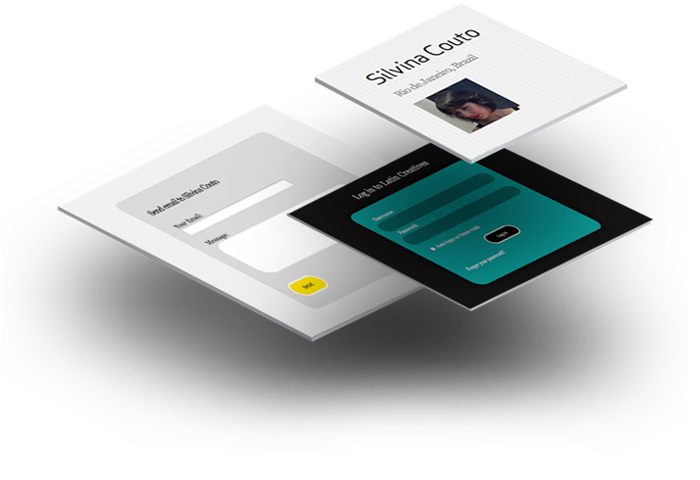 A registration panel enabled users to create their own profile pages where they could upload their profile photo, cv, write a cover letter and create galleries. The font used for this site is Georgia in different variantions.